After the last tournament of the season we have our anglers of the year. Both anglers have worked very hard and finished well all year and have lead the race for most of the year. Look for profiles on them soon. Congratulations to our boater Angler of the Year Patrick F. Davis who in nine tournaments brought 20 fish for 30.35 pounds and a total of 245 points. 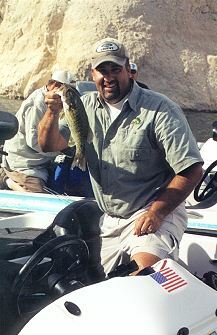 Patricks big fish of the yeaer was a 2.85 pound largemouth durring his January win at Lake Havasu. Durring the season Patrick had two wins two seconds and a third. Great job Patrick! Congratulations also to Ol Biggun, Kyle "Buedreaux" Linton who is our non boater Angler of the Year. Kyle fished all of the tournaments this year and racked up an impressive 290 points with five firsts, a second and three thirds on the season. He brought in a total of 25 fish weighing 42.90 pounds. Way to go Buedreaux! Hats off to everyone who participated in the race for Angler of the year this year. 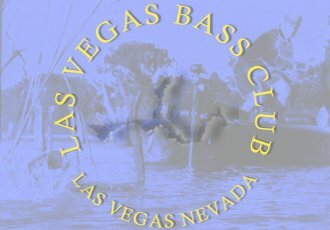 The next tournament is the last for the year, the top ten classic out of Windsor beach on Lake Havasu. The anglers in bold type below have qualified for that tournament. Great job and good luck!